JB Concrete Pumping Services, Inc.
Drake Building Maintenance and Restoration, Inc. Ground Control of Carolinas, Inc. Comment: The project is a retaining wall along a circular gravel driveway. The existing wall has deteriorated. The wall is one crosstie high. Comment: Need 8Ã16 added to existing patio. Comment: Replace front sidewalk. Approx 155 square feet. Comment: I need to have a crack in driveway and needs repaired. Comment: I would like to get an estimate for a retaining wall to be built, I'm open to suggestions on the materiel to be used. Charlotte Concrete Contractors are rated 4.73 out of 5 based on 749 reviews of 70 pros. 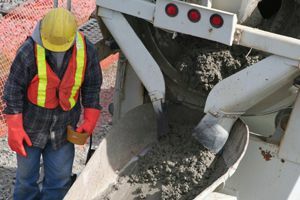 Not Looking for Concrete Contractors in Charlotte, NC?